The story goes that some time before 1900, an old steam train was buried near the intersection of what today is Main Street and Good Latimer. A majestic elm tree grew nearby in a grassy area, providing a shady spot for visitors to gather and shelter for many song birds. As the roots of the elm tree grew closer to the buried train, magic started to happen. 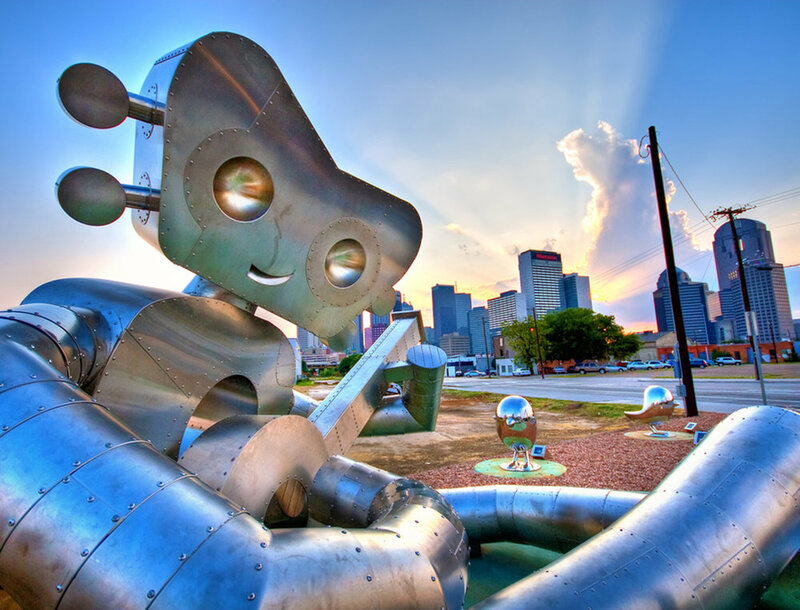 The surrounding dirt, fertilized with all that is Deep Ellum, created a womb. The Traveling Man was conceived late one night when a splash of gin spilled onto the dirt reached the tip of the elm tree root that rested on the train – and his gestation is nearly complete. This incredible man will be born in the summer of 2009. 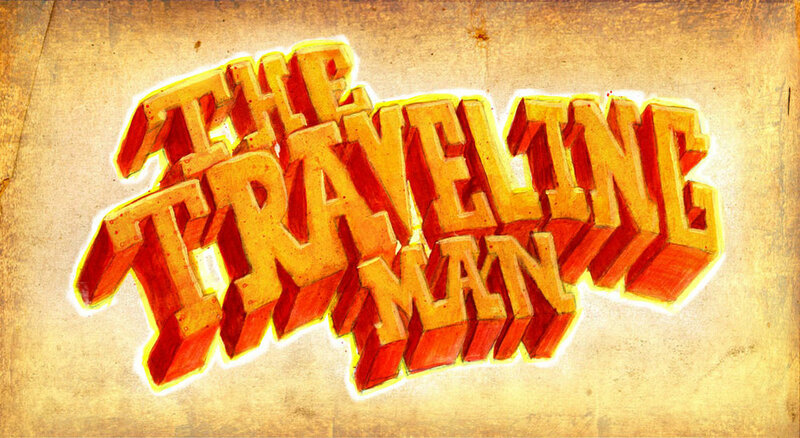 IN 2007, The Traveling Man reached out to Brandon Oldenburg and a team of artists in Deep Ellum at Reel FX Creative Studios. As The Traveling Man’s image and personality began to reveal himself, the folks at Reel FX knew something special was about to happen. 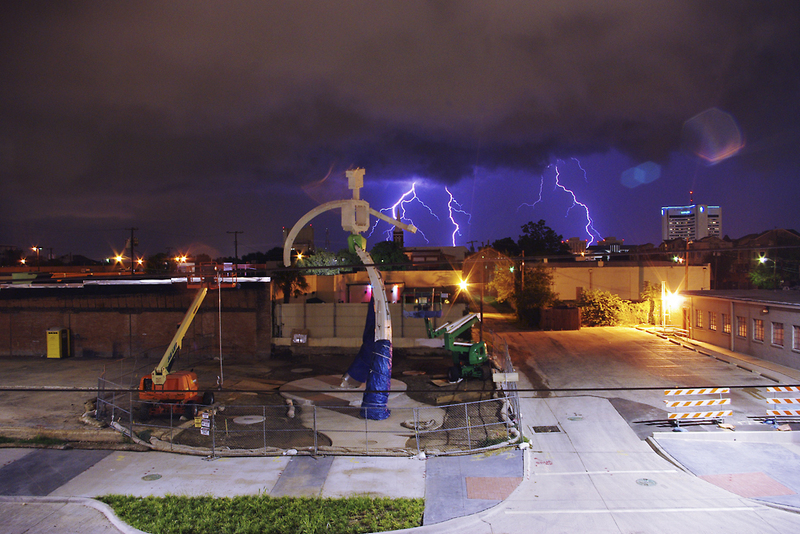 But they needed a little help from Dallas sculptor Brad Oldham to complete his image. As The Traveling Man has done for years, he has facilitated yet another creative collaboration – this one between Reel FX and Brad Oldham - to bring him alive above ground.